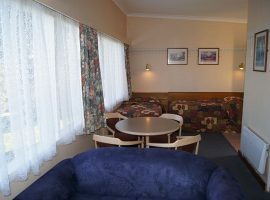 Single Rooms are ideal for individuals and provide all the comforts of home at an affordable price, including a queen double bed, private shower and toilet, refrigerator, microwave, dining setting, lounge and a desk. 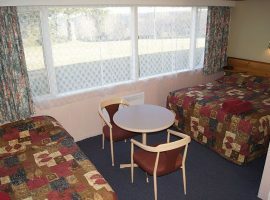 Please notify us if you would like a Single Room upon booking. 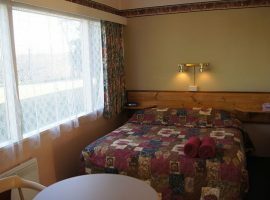 Classic Queen rooms are ideal for couples and provide all the comforts of home at an affordable price, including a queen double bed, private shower and toilet, refrigerator, microwave, dining setting, lounge and a desk. 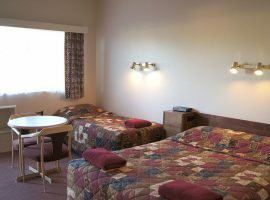 Classic Family rooms accommodate up to 4 people and provide all the comforts of home at an affordable price, including a queen double bed, optional additional single beds, private shower and toilet, refrigerator, microwave, dining setting, lounge and a desk,. 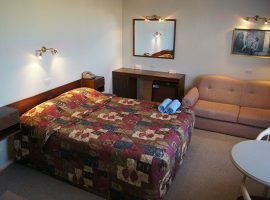 Premier Queen rooms are ideal for couples and provide all the comforts of home at an affordable price, including a queen double bed, private shower and toilet, refrigerator, microwave, dining setting, lounge, desk and with a view of the park. 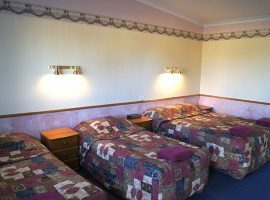 Classic Twin room accommodate up to 3 people and provide all the comforts of home at an affordable price, including a queen double bed, single bed, private shower and toilet, refrigerator, microwave, dining setting, lounge and a desk. 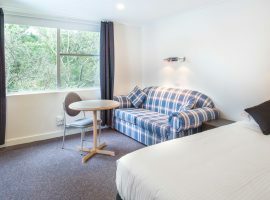 Premier family rooms accommodate up to 4 people and provide all the comforts of home at an affordable price, including a queen double bed, optional additional single beds, private shower and toilet, refrigerator, microwave, dining setting, lounge, desk and with a view of the park. Premier Queen + Single rooms accommodate up to 3 people and provide all the comforts of home at an affordable price, including a queen double bed, single bed, private shower and toilet, refrigerator, microwave, dining setting, lounge and a desk.